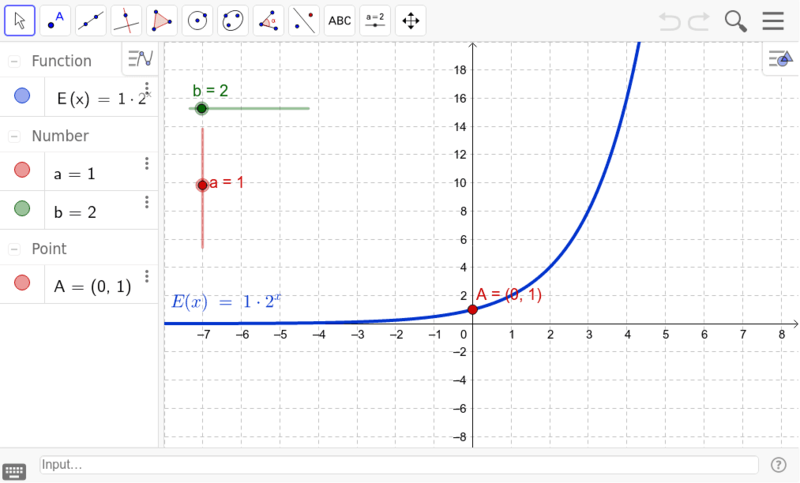 Exponential Functions: y = a(b^x) Prof. Battaly, College Algebra, WCC The blue curve shown on the graph has the equation y = a b^x. For this equation the variable x is in the exponent. The base, b > 0 and b ≠ 1 The sliders represent values for the coefficient a and the base b. What happens to the curve when you move the sliders (change the values of a and b)?